Want to cuddle with Yelena? 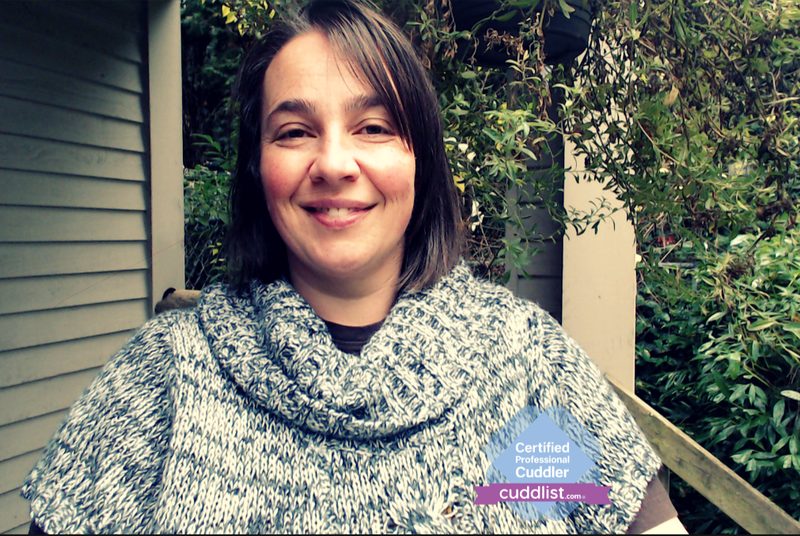 Yelena became a professional cuddler because she absolutely adores platonic, nurturing, nourishing touch – hugs, back rubs, foot rubs, holding hands, gentle hand massage, holding positions. 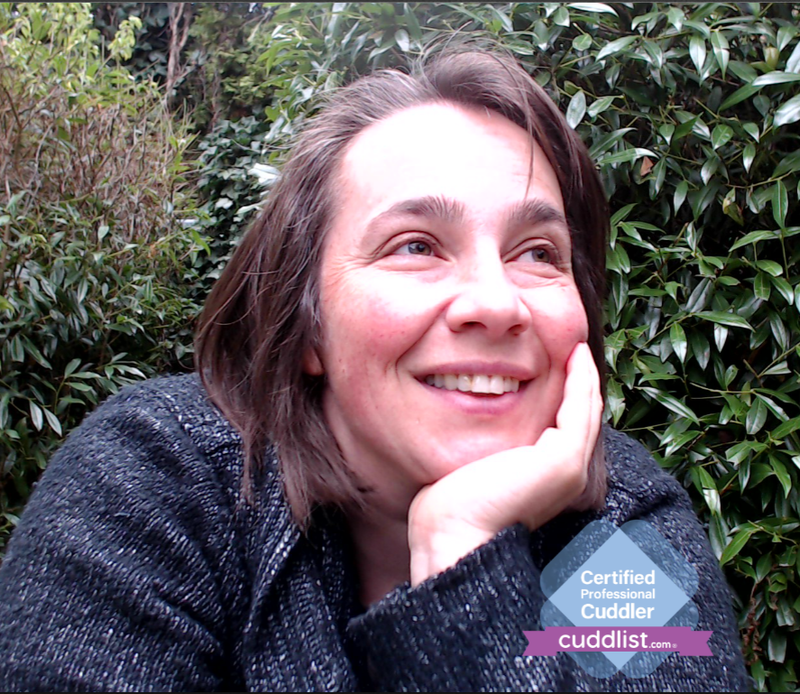 She came to CUDDLIST because the conversation about consent and personal agency is a huge part of her life’s work. She lives to create more genuine human interconnection, trust based communication, and wonderful oxytocin producing snuggles. Yelena’s sessions can be friendly and chatty, quiet and snugly, or even sleepy, and are especially helpful for introverts. She pays close attention to communication and facilitation. You will feel comfortable, safe, and cared for. She holds space for you to ask for what you need and space for you to hear an answer before moving forward. Being able to say ‘yes’ to the things you love and ‘no’ to the things you don’t love are at the core of the cuddle sessions. Yelena provides two types of sessions. The type of session will depend on your needs and where you are in your interpersonal journey. 1. 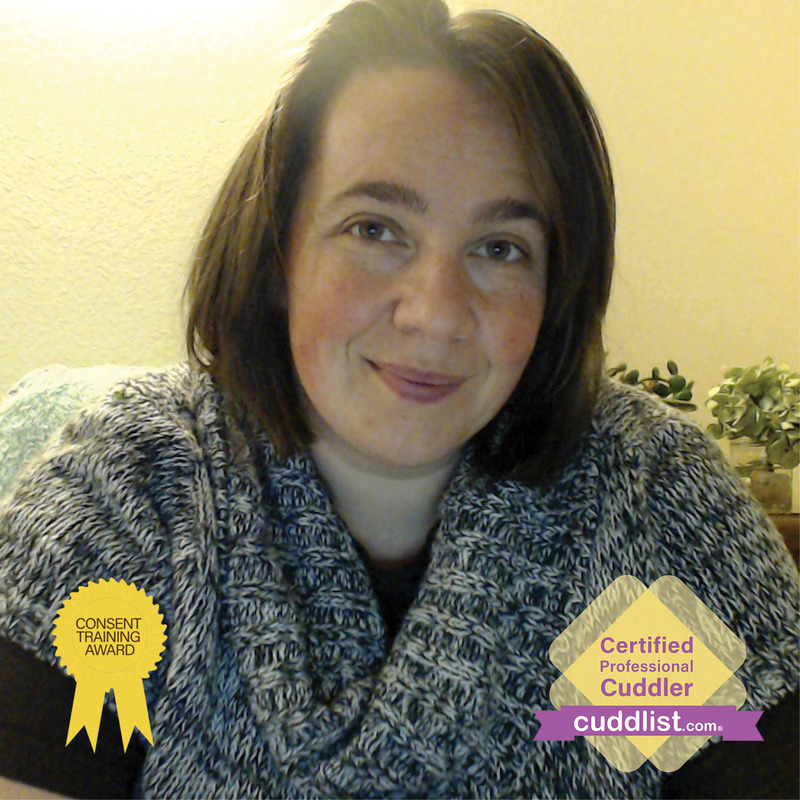 STRAIGHT UP CUDDLES: These are snuggly, cuddly, and cozy sessions for those who are very comfortable expressing their touch needs verbally. These sessions are geared towards folks who are very comfortable with the concept of enthusiastic consent and those who have experience with Cuddle Party or other consent workshops. These sessions are client led and tailored very specifically to your platonic touch needs. 2. CONSENT AND TRUSTED TOUCH COACHING: These sessions have a structured approach to trust based therapeutic touch. Coaching is for those who need touch in their lives and don’t know where to start or how far to go. These sessions are practitioner led. Often, we feel awkward when verbalizing our needs and to help with that we will start with a 1 minute ‘Yes’ / ‘No’ Game and The 3 Minute Game, during which we practice asking verbally for what we want, listening for the answer, and only then proceeding with physical contact. The games create a safe container for self expression, trust, and closeness. Direct verbal communication, asking for what we want are learned skills, and these coaching sessions can help! Communication is THE tool for feeling less anxious, more peaceful, more true to yourself while being physically present with another person. In this type of session you will learn the necessary skills and get real life practice on how to apply them. Yelena supports clients of all races, ethnicities, religions, sexual orientations, gender identities, and physical abilities. She would love to see more parents (yes that means you too moms!) in her sessions! Taking good care of yourself is essential and parents so often forget to do that. Cuddling can be physically relaxing, emotionally affirming, and will help you grow in your personal and professional life. Yelena is excited to be a facilitator in this healing movement! Book as session whenever you need! In-call sessions are conducted in Redmond. There is plenty of free street parking. Bus stops are within a 2 minute walk. There is no fee for out-calls in Bellevue, Kirkland, or Redmond. Other areas the out-call fee is based on distance with a minimum of $20. Payment types: Cash, Squarecash, and PayPal. Payment is due at the beginning of the session. Cancellation policy: 24 hours cancellation notice. Fill out the request form to schedule a free 30 minute information session before booking a cuddle session. We will go over any questions you may have, this is a great time to tell Yelena a little about yourself and what kind or experience you are looking for. After the information session, we can schedule the best time for you to come in for a cuddle session. During the cuddle sessions, you can wear soft, comfy, non restrictive clothes — t-shirts and pajama pants or sweat pants are perfect. Clothes stay on the whole time during the sessions — think ‘Sunday on the couch with roommates playing video games attire’. You are welcome to bring your own pillow, a blanket, a book, or anything else that will help you relax during the session. The sessions will begin with a conversation about your personal boundaries. This part of the session will establish trust between you and Yelena in communicating with each other. After that, you will move on to finding YOUR perfect way to cuddle and get your snuggle on! 5 minutes before the end of the session you will ease out of the cuddle zone with some stretches and transition back into the outside world. Yelena will check in with you the day after to see how you are doing, and ask for feedback about the session. You are welcome to book your next appointment directly after the session or at another time of your choosing.